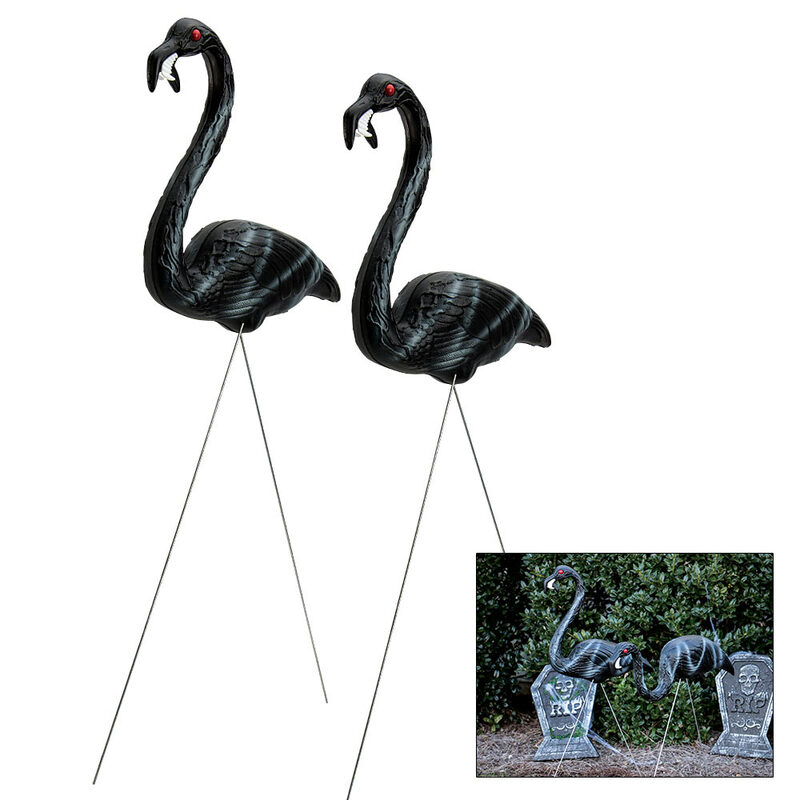 One stands 15" tall, the other 18"
These Carnivorous Zombie Flamingos are terrifying! Beware for they will devour the rest of your flamingos in your yard! They are creepy, creepy, creepy from their beady red eyes to their sharp zombie teeth. They are molded of heavy-duty, weather-resistant plastic, which means they will be around to plague your other flamingos forever. 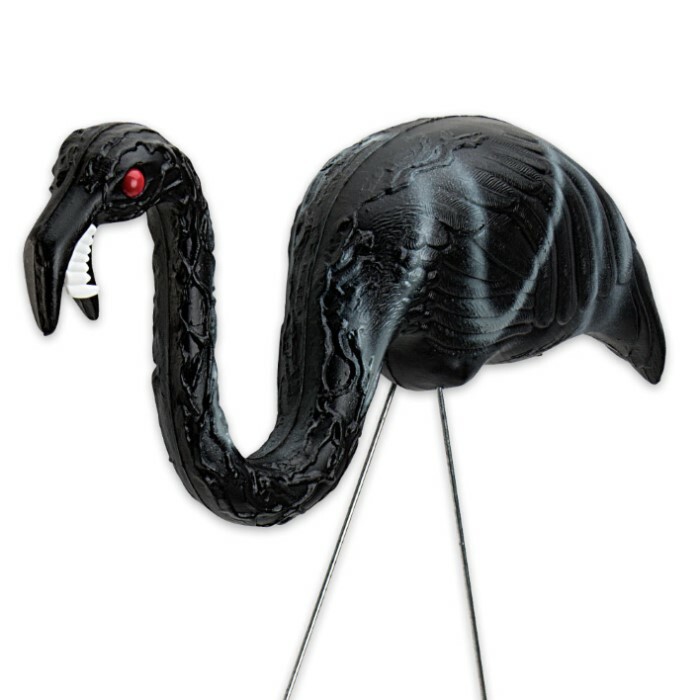 Standing at 15” tall and 18” tall, the Carnivorous Zombie Flamingos are incredibly detailed and will be the envy of your neighborhood. This product is 100% made in the U.S.A. These are just great! I bought a pair for myself and a pair as a gift..definitely unique and very well-made. I'll probably order some more..just because! They look very intimidating alongside normal, non-zombie-fied flamingoes..lol..instant classics and they're made in the U.S.A.!! These are just great! I bought a pair for myself and a pair as a gift..definitely unique and very well-made. I'll probably order some more..just because! 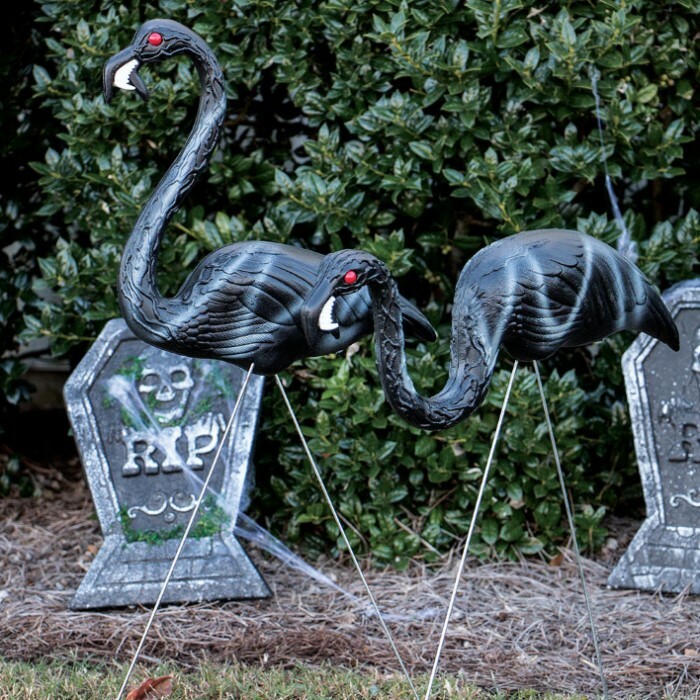 They look very intimidating alongside normal, non-zombie-fied flamingoes..lol..instant classics!